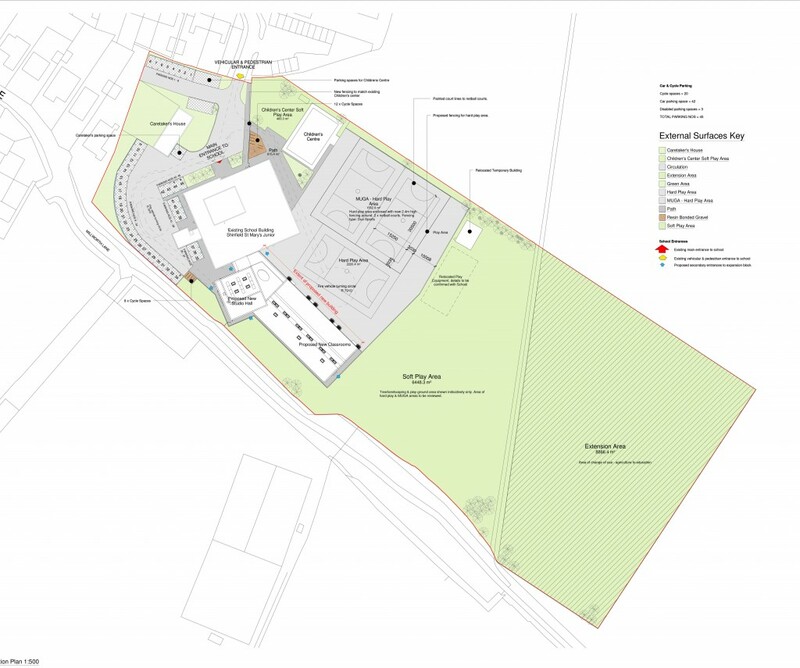 Brief: New build extension to expand an existing school from a 2FE to a 3FE school. Shinfield St Mary CE Junior School is located on the edge of Shinfield Village. 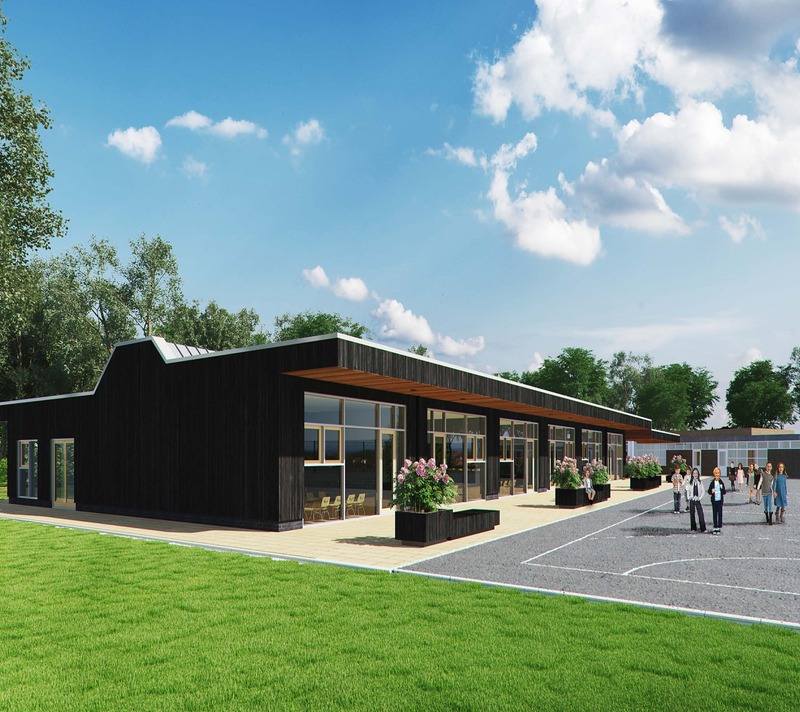 ECD Architects were appointed to design an extension to allow the school to extend from two-form entry (2FE) to three-form entry (3FE), as well as incorporating refurbishment works to the main school to optimise the use of space and facilitate the increase in student numbers. The new extension comprises six classrooms arranged along a generous corridor with ancillary spaces opposite, including SEN & group rooms, as well as a studio hall and food/science classroom – laid out to accommodate out of hours community use of the studio hall and sports facilities. Each classroom opens up onto the playground, with full height glazing and roof-lights providing natural light and cross-ventilation. The canopy provides shelter and creates an external teaching area. This project provides 6no. 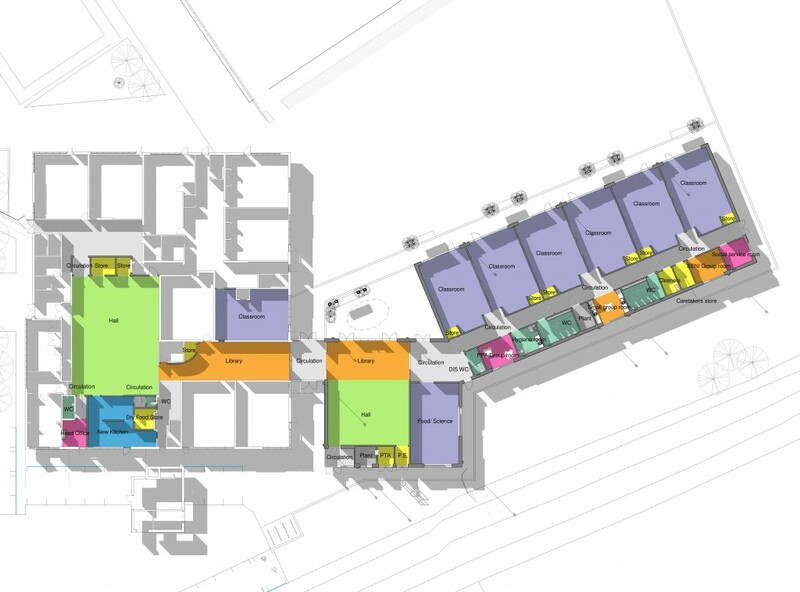 New classrooms, studio hall and food science classroom, plus ancillary accommodation. It was designed to Passivhaus Standards and modelled using PHPP software. The scheme utilises pre-fabricated modular construction for speed of delivery and incorporates a super-insulated envelope and mechanical ventilation with heat recovery. The extension was isolated from the thermal envelope of the main school using a glazed link in order to achieve this. It was also designed to accommodate simultaneous occupation of the studio hall and all classrooms. The scheme is also expected to host renewable technology in the form of Photovoltaics and/or Solar Thermal.